With Christmas just around the corner, why not add some festive flair to your surprise and delight gifts for current and prospective purchasers and clients? 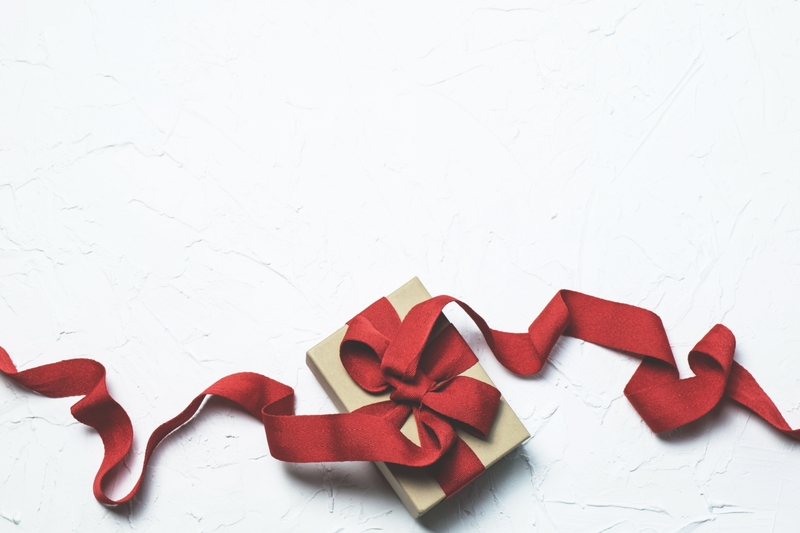 To help you take the stress out of surprise and delight initiatives this year, we’ve listed our top four favourite festive gifts. But remember…surprise and delight initiatives are a practice that need to be woven into your marketing strategy and budget throughout the entire year – not just at Christmas! If you’d like some ideas on effective and delightful gifts you give your customers all year round, read our blog here. In today’s highly digital world, there’s no better way to offer a thoughtful holiday gesture than with a hand-written and personalised card. It demonstrates your brand’s willingness to place time, effort and sincerity in conveying your thanks and well-wishes. Accompanying the card, you could also send a photograph of purchasers taken at settlement, or taken during a project-related event they attended. This gift idea is highly effective in terms of both cost and impact. It requires minimal spend, but delivers a strong message of consideration, making it a highly valuable touchpoint. Whether you’re a land or property developer, or even a builder, this gift is particularly meaningful for customers who have just moved into their new homes. What you have delivered is more than an edible gift, but an activity that can be enjoyed by the whole family, which symbolises the creation of their new home. It doesn’t get more meaningful than that! A wide-spread tradition for many families, counting down the days to Christmas with an advent calendar is one of the most exciting aspects of the festive season. Take the extra step by ordering advent calendars in your brand colours and personalising them for your clients. A thoughtful and fun gesture that people of all ages will enjoy! It’s called the party season for a reason – Christmas time is the perfect time of year to host a celebratory event for your prospective and current customers. For land and property developers, hosting a Christmas neighbourhood party is particularly effective, as it not only encourages current residents to build connections, but invites interest and interaction from the wider community. Deck the Christmas party with different food and activity stations that can be enjoyed by the whole family. Including a bauble decorating stall an excellent way to spread Christmas cheer. You could order baubles in your brand’s colours for attendees to decorate and personalise however they choose. They now have a beautiful addition to their tree, and a token of warm wishes that will be used for many Christmases to come! You may also like to include a photo booth, so attendees can walk away with a special token to remember the event – the photos can also branded with your logo! What Christmas-inspired delights will you be sending out this festive season?